We are deeply saddened by the news that the American poet C.D. Wright died on 12 January at the age of 67. She published numerous books of poetry, including two with Bloodaxe in the UK, her retrospective Like Something Flying Backwards: New & Selected Poems (2007) and One with Others (US, 2010; UK, 2013). ‘Born in Mountain Home, Arkansas, in 1949, Wright attended Memphis State University and the University of Arkansas. 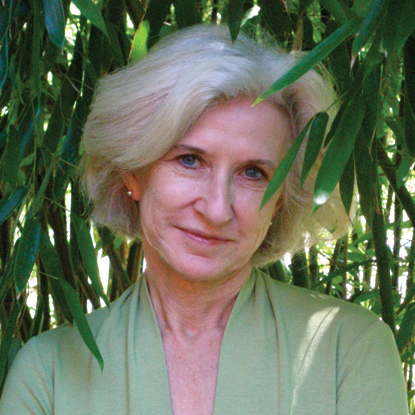 The Southern landscape became a source of inspiration for her writing, including the critically-acclaimed collection, One With Others (Copper Canyon Press, 2010), which won the Lenore Marshall Poetry Prize, the National Book Critics Circle Award, and was finalist for the National Book Award. C.D. Wright is survived by her husband, poet Forrest Gander, and their son, Brecht; and by her work. C.D. Wright reads a poem from Like Something Flying Backwards. This film is from the DVD-book In Person: 30 Poets, filmed by Pamela Robertson-Pearce, edited by Neil Astley, which includes five poems from Like Something Flying Backwards read by C.D. Wright.